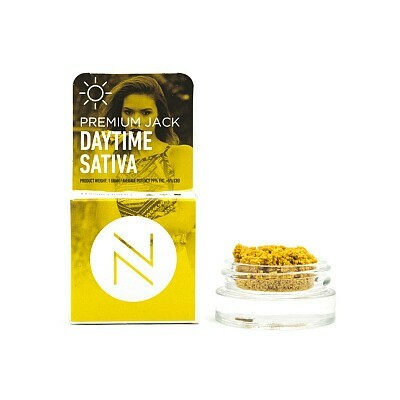 Premium Jack’s lineage contains Northern Lights, Skunk and Haze, so you know it’s going to be a heavy hitter. Named for famed cannabis activist Jack Herer, this strain has a heavy pine and citrus terpene profile that’s as uplifting as the man himself. And with NUG Premium Jack Crumble, get an incredible dabbing experience every time.